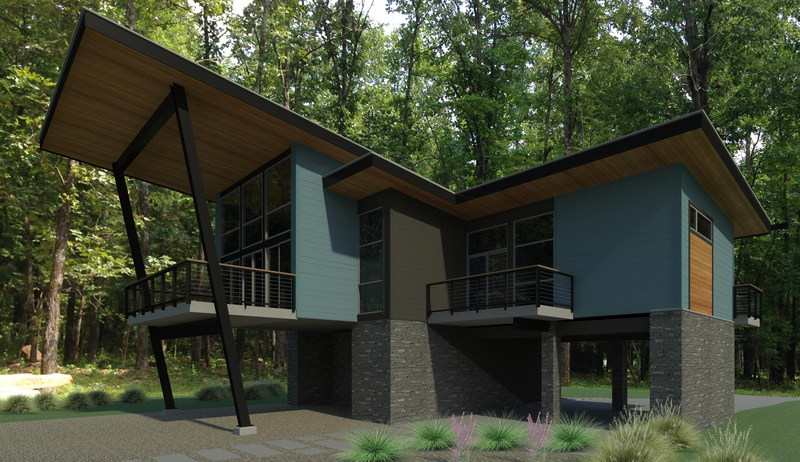 This summer we were approached by a client who wanted to construct a modern efficient home on the banks of the Little Red River near Searcy, Arkansas. The lot is mostly wooded with a clearing just before you reach the river bank. Along the bank of the river the woods resume, with small clearings allowing a glimpse to the water below. Our client was very interested in the use of ICF or insulated concrete forms to create a very efficient and strong structure. They also wanted a modern look with a lot of glass for view as well as balconies overlooking the river. They also liked the idea of living up in the trees. With this in mind the main living space, kitchen, and master bedroom were designed on the upper level. By elevating the primary spaces to the upper level, even better views to the river below were achievable. A guest bedroom, utility room, storage and an open carport occupy the first level. 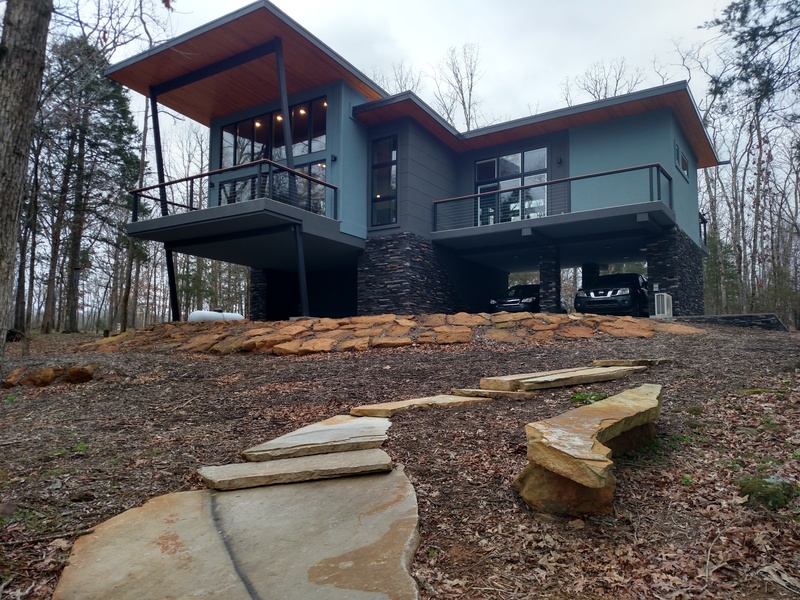 The house also features a concrete elevated floor slab with radiant floor heating and SIPs or structural insulated panels for the roof, which along with the ICF wall construction, will provide a very energy efficient building enclosure. The view below is a rendering showing the house from a driveway approach. The view below is taken from the top of the river bank looking back to the house from the West.